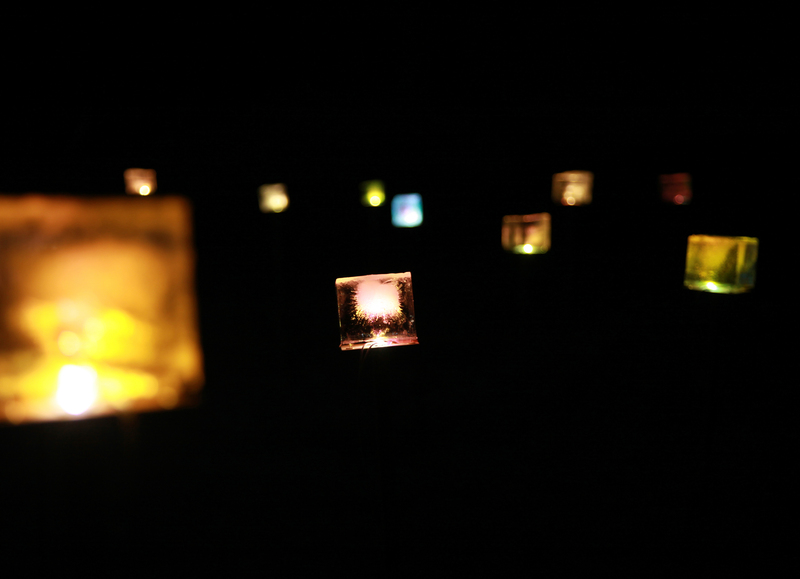 Rina Katsube is an artist specializing in research and artworks in the areas of biofeedback and immersive design. 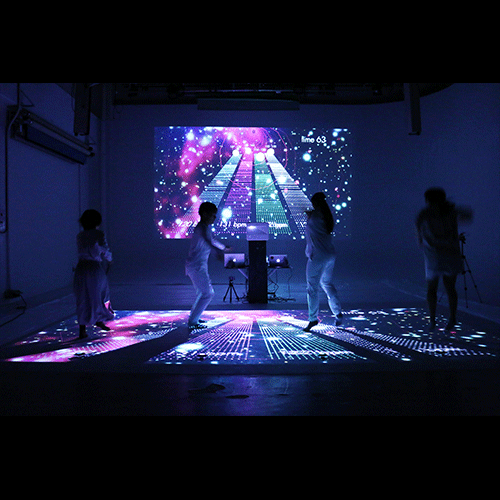 Her graduation work “heartbeat” won the Dean’s Award from the School of Art and Design at Tsukuba University graduation exhibit as a form of accessible entertainment for open spaces. 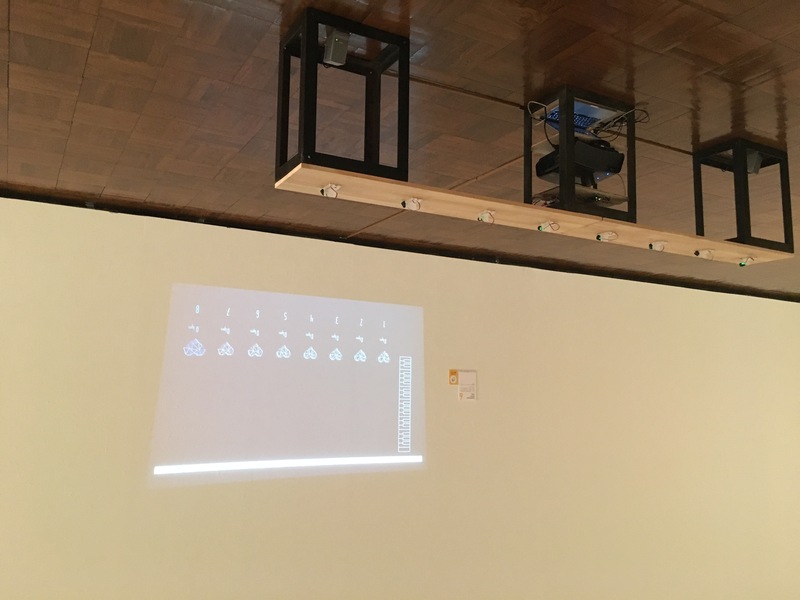 This work was gamified to measure the heartbeats of participants wearing activity meters. The system uses the activity meter’s heartbeat sensor to measure the heartbeat alter the sound and video accordingly, making the user aware of their heartbeat which is normally difficult to notice or control. The scenography involving sound and video moves people to action and then alters according to that action, creating feedback between the people and space. HEARTBEAT MUSIC is an effort to compose music by altering the pitch of sound according to the heartbeat. 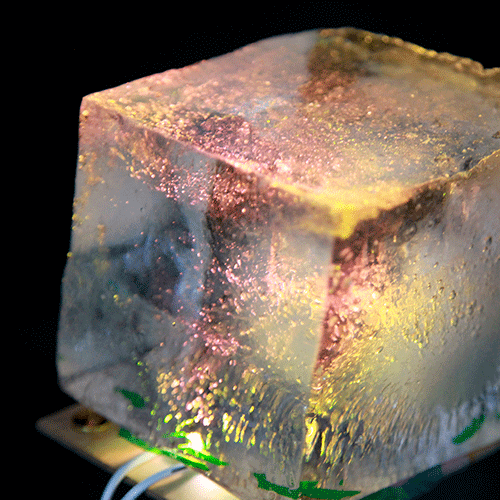 A device was created to generate musical loops from the heartbeats of multiple participants. Participants can enjoy the music as it changes according to their heartbeats. This work uses a hydroelectric power plan installed in the Kawai district in Mishima, Fukushima Prefecture. The work expressed the way nature lives on quietly through the cold of winter by enclosing a flower made from aurora paper in ice and bathing it in light that pulses like a heartbeat. Katsube was primarily in charge of developing the lighting hardware and programming in this group artwork.